Guernsey is the second largest of the Channel Islands. It is the only part of the Duchy of Normandy which belongs to the British Crown, having been a British possession since the Norman conquest in 1066. The Channel Islands, for those who do not know are in the English Channel (La Manche), and are much closer to France than to England. Guernsey was occupied by German troops from 30th June 1940, to 9th May 1945. Guernsey has an area of 30 square miles and a population of 61,000. The French spelling of Guernsey is Guernesey, and it is spelt this way on most older coins. We are bound to get asked "What is a bailiwick?". A bailiwick is the district within which a bailiff has jurisdiction. It comes from the words baillie meaning bailiff, and wic meaning village. Guernsey started issuing its own coins in 1830, so it has quite a numismatic history, although it only issued its first gold coins in 1981. We occasionally have in stock a few Guernsey coins. The mintage figures tend to be quite low. In the short time for which Guernsey had been issuing gold coins, it has made a wide variety of denominations. 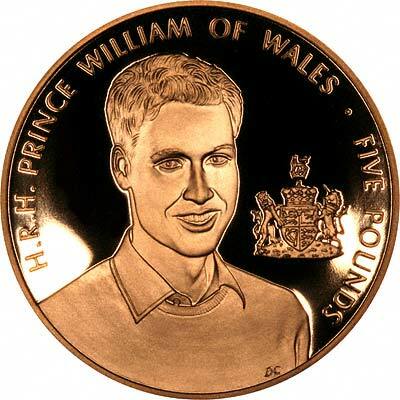 First in 1981 was a pound coin, similar in dimensions to a British sovereign. The £2 coin of 1997 is the gold version of the two pound issued in cupro-nickel and also in a silver proof version, and is therefore a large heavy coin, much larger than the higher value denominations which we will now describe. 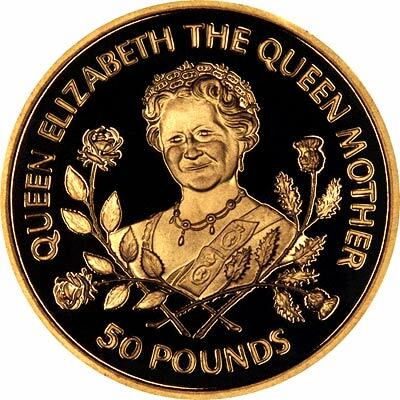 A five pound was issued in 1995 with a weight of 7.81 grams, and a twenty five pounds was issued in 1994 with the same weight. Ten pounds, fifty pounds and hundred pounds were also in 1994 using a weight standard proportional to the £25 coin. Other high denomination gold coins have also been issued since 1994 with using this same weight standard. All these gold coin issues have been proofs. We also have a page for Guernsey Proof Sets, and another for Guernsey Queen Mother issues. The States of Guernsey authorised the issue of gold doubles. 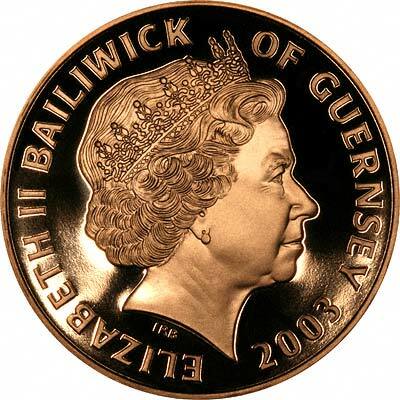 These take their design from Guernsey's earliest coinage, but are in the form of a gold bullion coin or medallion. 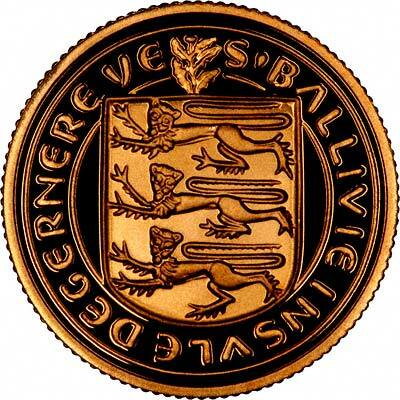 For Guernsey coins in silver or base metal, or Guernsey coin sets other than gold, please look at the Guernsey Coins page of our original website. 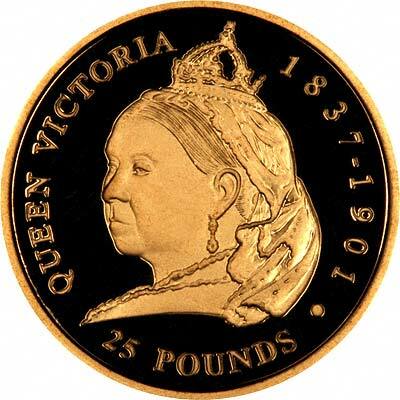 We make an active market in almost all world coins, gold or otherwise, including Guernsey gold coins, whether listed on this page or not. If you have any of these coins to sell, please contact us, or post them to us for appraisal and offer.